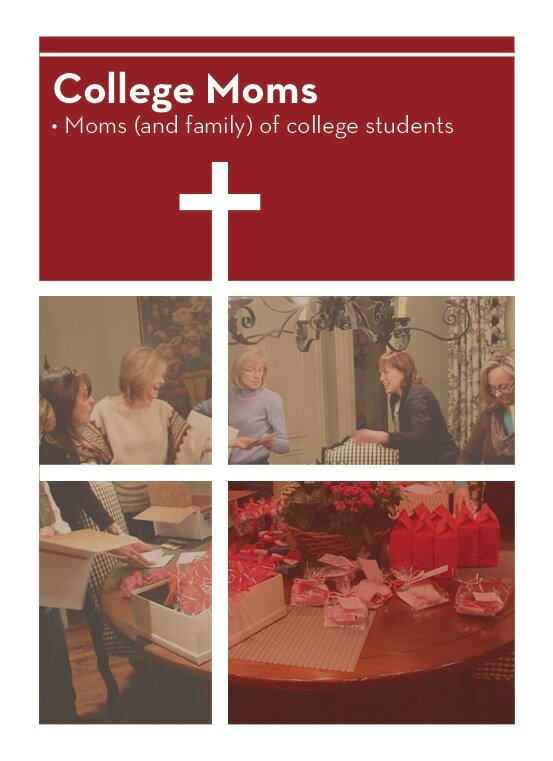 College Moms are moms, aunts, cousins, and grandparents of college students or members of the military. The group meets to socialize, share a devotion and prepare care packages to send to their loved ones. Each care package includes a Bible verse, special notes and treats from home. The kids really appreciate these care packages while they are away from home.We meet three times per year on Sunday nights at 6:30 pm in Café Koinonia. You can come a couple of times or every time. Contact Anne Hyler at ankeny6@msn.com or 515-480-7078.